No account of Milton in the late 19th and early 20th centuries can be complete without relating the story of Colonel Samuel J. Wilson (1850 – 1937), one of the town’s success stories. For one thing, if you died in or near Milton from 1873 to 1937, your funeral and burial would most probably have been handled by S. J. Wilson, or later on S. J. Wilson & Son. In this respect, S. J. Wilson was an integral part of life’s end for many of his fellow townspeople, the Broadkill Hundred, and beyond. That story in itself would be worth telling, but the man was more than just an undertaker. S. J. Wilson’s obituary in the Milford Chronicle of February 12, 1937 relates the story of his life in some detail. The son of mariner Capt. 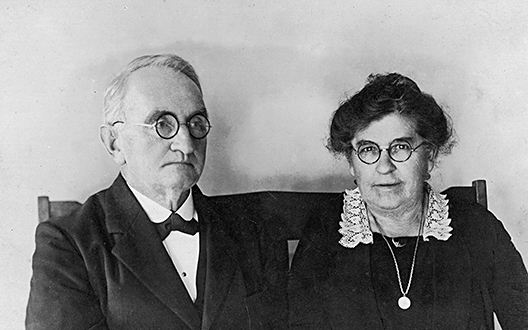 John P. Wilson and Sarah Calhoun, Samuel did not take to the sea. He attended the Milton Academy until he was 14 years old, then left to learn the shipbuilding trade in M. W. Megee’s shipyard. Four years later, he formed a partnership with John Henry Davidson and engaged in the building and carpentry trades. 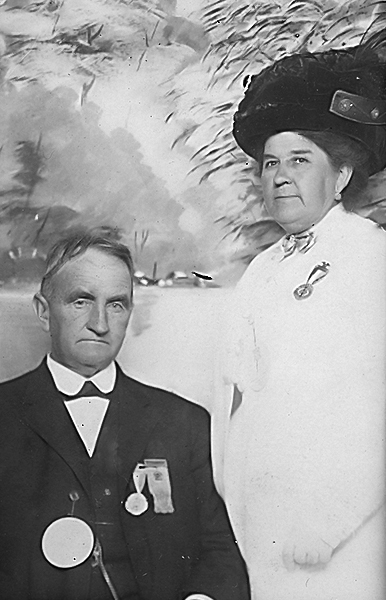 He married Martha Jane Donovan (1853 – 1936) in 1871, and subsequently he and Davidson began an undertaking business in 1873. Buying out Davidson in 1876, S. J. Wilson ran the business by himself until 1898, when he brought his oldest son John P. Wilson into the business; the enterprise was thenceforth known as S. J. Wilson & Son. That business included a store that sold furniture, hardware, farm machinery, wagons, sulkeys (a light, two-wheeled cart) and carriages, as well as the funerary and undertaking establishment. Somehow, he found time to serve as an aide to Gov. James Ponder, and for that service was given the privilege of adding the title “colonel” to his name. Although there are no references to his rank in the Milton News letter, it is engraved before his name on his tombstone in Goshen Cemetery. Tunnison provides one curious fact in her account: bodies of the deceased in the 1870’s, at least in Milton, were preserved in wicker baskets packed in ice. However, the huge death toll of the Civil War and the long distances between the battlefields and the deceased soldiers’ families accelerated the development and adoption of embalming as the preferred method of retarding decomposition. It is unclear at what point S. J. Wilson adopted this technique for his undertaking business. S. J. Wilson’s New Building, ca. 1910, corner of Front and Federal Streets; S. J. Wilson can be seen standing at right, in front of a plate glass window. The fire of August 12, 1909 destroyed the building that housed the businesses of S. J. Wilson & Son, as well as the rest if the downtown business district. As a result, the Town Council passed an ordinance mandating that all new construction in the “burnt district” use brick or masonry rather than wood. S. J. Wilson & Son planned a three-story structure to be built of cement blocks, but construction did not begin until April of 1910. The blocks were manufactured close to the building site, on the Milton dock, by H. E. Elliott & Son of Rehoboth (who we are also acquainted with as a photographer). The finished structure can be seen in the photograph above. I don’t yet have information on when the building was taken down, as its location is now occupied by the M&T Bank. S. J. Wilson continued to actively manage the business right up to his death in 1937. 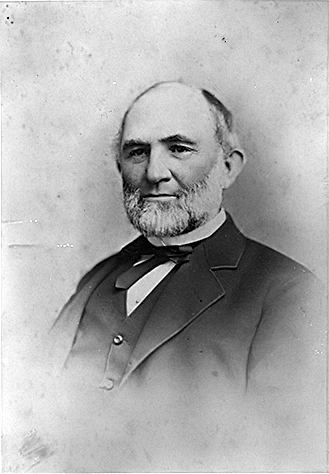 The business was continued by Samuel’s son John P. Wilson, who was later joined by his son Samuel James Wilson II. 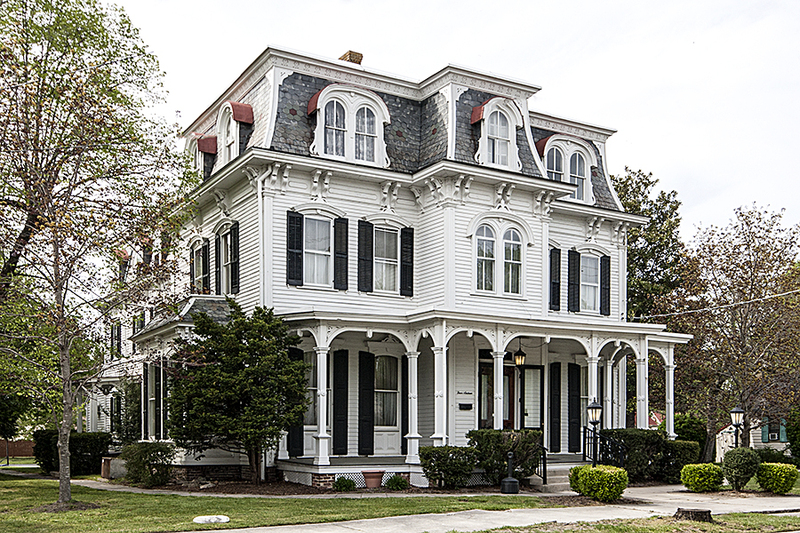 These two bought and restored the Ponder mansion on Federal Street and used it as a funeral home until 1953. By that time. John P. Wilson had been dead for several years and Samuel J. Wilson II was killed in a car accident. 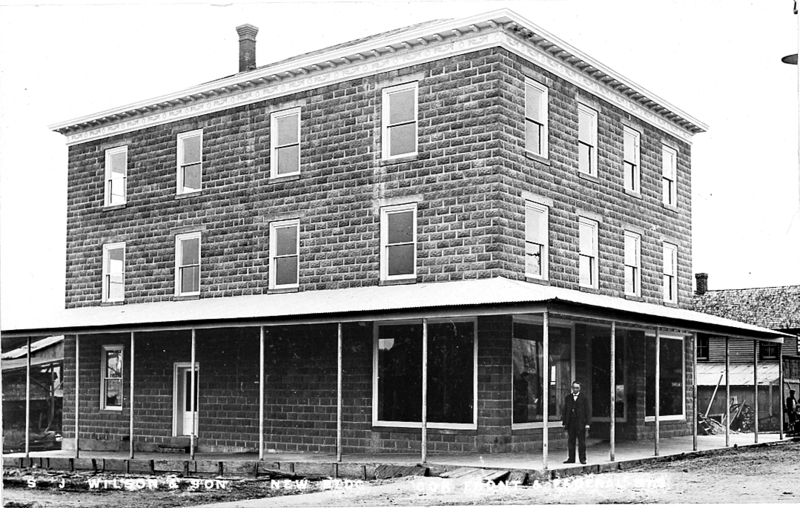 The building was sold to Mr. and Mrs. William Short of Smyrna, and is today still operated as the Short Funeral Home. This building was demolished between 1954 and 1957. It as then a Silco department store. I was managing the family farm on Chandlers Orchard property on Mulberry Street and during a winter break in farming my crew stripped the electric lights, cabinets, displays and what was left of the furniture, to place in the orchards old packing house on Ellendale Road near where the post office now sits, for use in our new Oliver Tractor dealership. I feel I have remembered correctly the date and am positive regard the removal of the interior. I also believe the Doug Hudson construction company was involved in the removal of the building.